After pulling out of Baselworld and going dormant for several years, Linde Werdelin has announced today the addition of two new watches to the Classic 3 Timer Ocean line. With no new product releases for years, last year Linde Werdelin released a watch for watch connoisseur and old friend Kristian Haagen. Kristian had expressed an interest in owning the 3 Timer brown dial that sold out within a month when it was released in 2009 and Morten Linde thought it would be the perfect opportunity to offer Kristian his own customized edition 3 Timer. These two new watches will be premiering at an event between Linde Werdelin and their retail partner The Lavish Attic in Hong Kong on August 2nd, 2018. These two new series reflect the essence of Linde Werdelin’s universes of diving and skiing. The 3 Timer Ocean with its matching Ocean blue rubber strap ideal for leisurely summer days spent diving or swimming in the sea while the 3 Timer Midnight is intended for a more discreet evening look on sea or on shore. Each Linde Werdelin watch can effortlessly adapt to any situation thanks to their unique strap attachment system. With a titanium strap insert and unique hexagonal screws the system can withstand the effects of most activities in the mountains or the sea. The 3 Timer Ocean reflects the essence of Linde Werdelin with its striking blue color evoking the ocean. This new addition to the Classic family was born from a growing interest and appreciation of the early days of the brand. Originally launched in 2009 the Linde Werdelin 3 Timer was an evolution of LW's first watch ever called the Biformeter. While retaining the Biformeter’s sporty attitude, every single detail of the 3 Timer was redesigned in a more refined and subdued fashion. For instance the new dial with a textured pattern emulates the lines of longitude and latitude circling the earth. 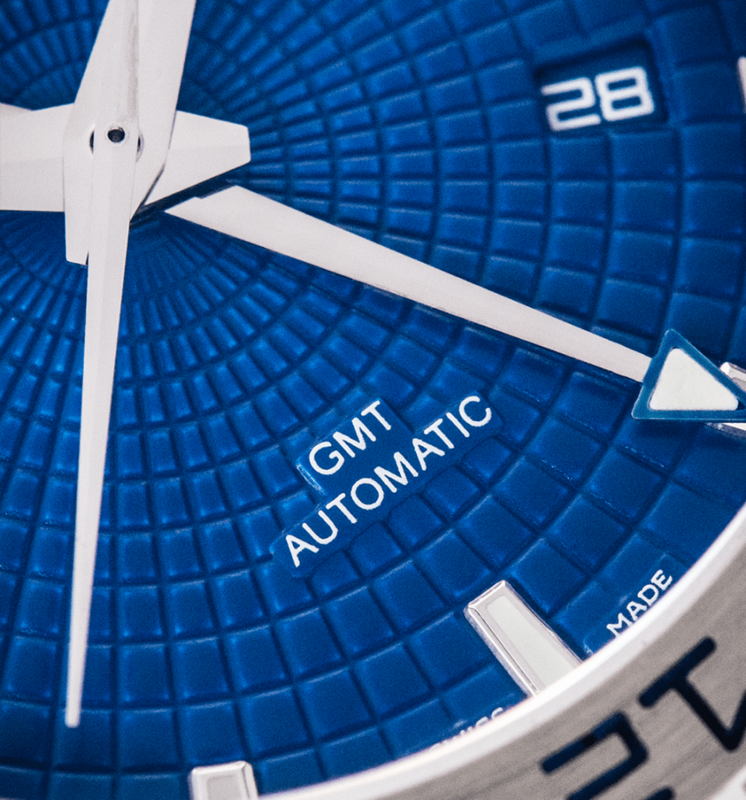 With a GMT function combined with a 24 hour turning bezel it made the 3 Timer the ultimate traveller’s watch. Equipped with a 44 mm stainless steel case and powered by an ETA 2893 movement, the watch is sold on an interchangeable ocean blue strap. The watch is available in a limited edition of 33 pieces and is water resistant to 300 meters. Sticker Price $7,288 USD. For more info on Linde Werdelin click here. Meanwhile the new Linde Werdelin 3 Timer Midnight features a deep dark blue dial, the brand’s signature blue color for the first time on a dial. The Linde Werdelin blue color was naturally inspired by the color of water. Linde Werdelin's two universes are intrinsically linked to water with snow in the mountains and water in the sea. With a GMT function combined with a 24 hour turning bezel it made the 3 Timer our ultimate traveler’s watch. Equipped with a 44 mm stainless steel case and powered by an ETA 2893 movement, the watch is sold on an interchangeable Midnight blue rubber strap and a textured calf strap of the same color. The watch is available in a limited edition of 33 pieces and is water resistant to 300 meters. Sticker Price $7,763 USD. For more info on Linde Werdelin click here. Posted on July 26, 2018 by Editor & Publisher and filed under Linde Werdelin, Other Brands, News and tagged Linde Werdelin Linde Werdelin 3 Timer Ocean Linde Werdelin 3 Timer Midnight 2018 GMT Watches Dual Time Watches.